If you have a motorcycle dealership, travel agency or run a motorcycle-related business, we would like to partner with you. Through our motorcycle tours, we offer you an easy way to earn extra revenue while benefiting your customers by giving them an experience of a lifetime. Fill in the form below for us to send you the details. Royal Enfield Books is dedicated to providing you with the very best specialist literature available on Royal Enfield motorcycles. 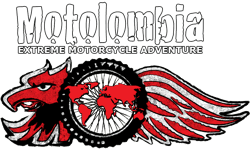 Motolombia is Colombia's finest adventure motorcycle tour and rental business. Motolombia offers all included guided tours and individual motorcycle rentals to all types of riders. Colombia welcomes you to beautiful curvy paved mountain roads, dirt tracks, jungle, desert and 2 oceans! Estd. in 1995, Vispol Co. Ltd of Warsaw, Poland has been the national distributor of Royal Enfield motorcycles since 1999. They arrange group rides (including ATV off-road and trail rides) and tours to scenic spots and mountains in Poland. 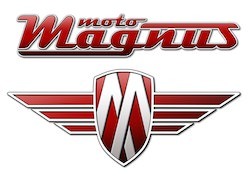 They also import and distribute bikes under the brands Moto-Magnus, Vaneti, Bashan, Shineray and Sachs.